• Flexibility and bendability are hallmarks of the LMR-400 cable design. The flexible outer conductor enables the tightest bend radius available for any cable of similar size and performance. 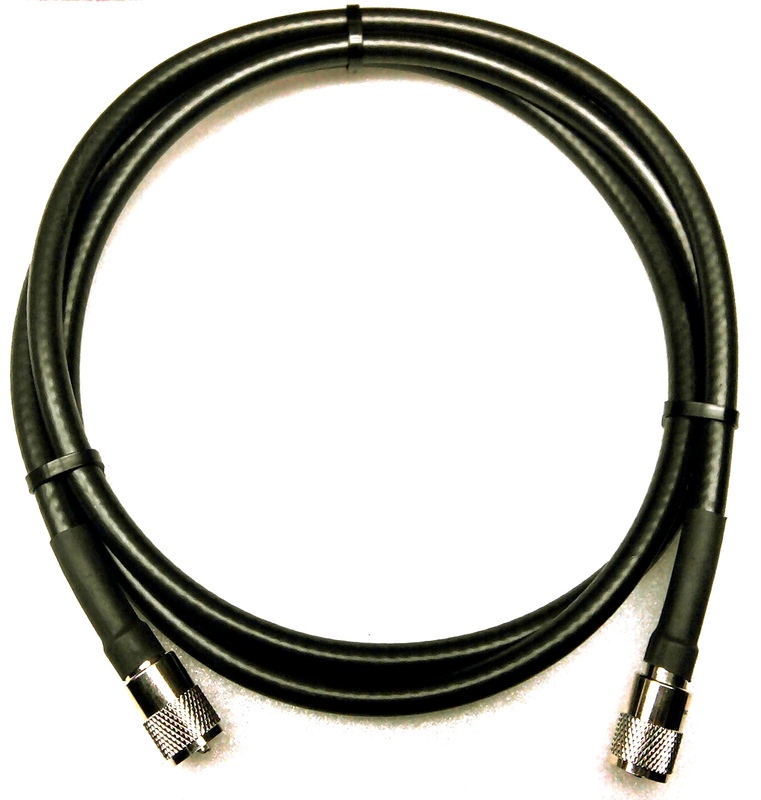 • Low Loss is another hallmark feature of LMR-400 Size for size LMR has the lowest loss of any flexible cable and comparable loss to semirigid hard-line cables. • Connectors: A wide variety of connectors are available for LMR-400 cable, including all common interface types, reverse polarity, and a choice of solder or non-solder center pins. Most LMR connectors employ crimp outer attachment using standard hex crimp sizes. THESE JUMPERS wired with Amphenol PL-259.